I’ve learned through the years that it’s not so much what you know – it’s who you know. As an adult, I find it difficult to explain this at times to the younger generations. Everything from job seeking to skill building to survival hinges on our ability to serve others and receive help in times of need. But it all begins with a connection. 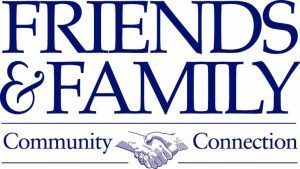 Whether it be family connections or acquaintances or complete strangers who hold a similar value system, a community of like-minded individuals will be able to weather storms and stresses of life and help each other in the process. It is also a source for new beginnings, transitions and successes. For example, this show is a result of a series of connections that have converged to a point where I can share what knowledge I have on a weekly basis to those of you out there. But even with my personal experiences as my resume, I am no expert when it comes to some of the more involved things in the preparedness community. I simply can’t do it alone. Listen to this broadcast or download “Who you know Connections” in player below! This week, as we wrap up the final part in our four-part series on kid communities, we are joined by James Walton at I Am Liberty, the Wednesday night show on Prepper Broadcasting Network! James’ journey toward preparedness led him to write one of the best books on the market detailing the means and methods for starting, building, and enhancing a community from scratch. 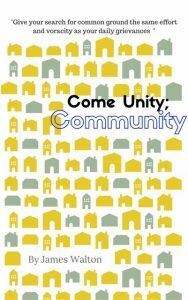 His book, “Come Unity Community” is not just a how to – it is more importantly a call to action that reveals our true first line of defense as preppers: the community. We’ll be talking about this key text and the importance of leading by example – both at large and in the home, and why building connections and community is a skill set that no parent should be lax on sharing with their kids. Since kids watch us and learn from our behaviors, they will benefit tenfold when we lead by example. Also, don’t miss out on the Pint-Sized Prepper Project of the Week where we show you how to make your own light in the dark by building an orange candle! This is a fun project to help demonstrate the power of working together. Previous: Previous post: Roaches, Rodents and Gators! Next: Next post: Toleration, Silencing Opposition!